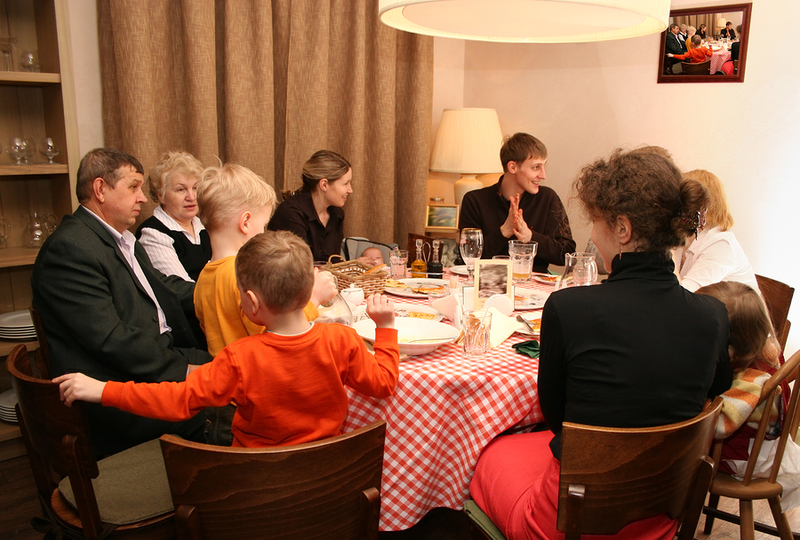 This month, our Wikizine Parents talk about how they retain the contact with their extended families after divorce. My marital break-up and subsequent divorce brought with it an added complication in the fact that my wife severed all links with her family (my in-laws). 1. The first has been down to pure practicalities. In the first couple of years of being a single parent I was working in a full-time property consultancy job that necessitated stays away from home. Let's be honest here - having a second "grandma" to come down and hold the fort while I was away working really helped! So to, the occasional opportunity for the girls to go and spend a couple of days up in Birmingham. These visits give me space and a chance to get things like the house and my head sorted out! 2. The second, and perhaps the most important reason, is that the girls' Mum is Indian. I have been very aware that (especially living in rural Devon which is almost entirely white), my (rather Spanish looking) girls need to fully accept and embrace their Indian background. I have brought them up with the stories of their Indian forbears; It helps that they were an influential family in the Indian Independence Movement. Their Great Grandfather was the first Indian to become an Officer in the Royal Air Force - who won the Distinguished Flying Cross in the Battle of Britain (never mentioned in any British war films though!!). Giving my girls their cultural roots has perhaps become more important because of their mixed race...but I leave open that as a question? 3. Thirdly, I get on with my in-laws! This whole marriage breakdown and subsequent lack of communication with their daughter/sister has been hard for them. I applaud them for doing their bit in keeping this relationship going too! A lot of families in their position would have buried the issues and the problems. In the six years that have passed, it is fair to say that me and the in-laws have had our "ups and downs". But overall we have kept things positive and struggled through the difficult times with mutual respect for each other's position and feelings. I love this photograph: It shows "the cousins" having fun together. What it doesn't show is that behind the lens, me and my wife's sister are drinking wine and laughing and loving the site and sound (much squealing!) of our children having such a laugh together! Keeping relationships going with the in laws can be difficult - keeping relationships going with ex-in laws for many is a bridge too far. But many Dads I speak to through www.onlydads.org recognise that however difficult it is - there are long-term benefits for the children of some degree of communication can be kept up. My Sunday was weirder than weird, but also strangely normal. You see, I went with my boyfriend to Oxford to collect his five year old son. Nothing unusual in that you think. Except that my boyfriend is a single Dad. While the five year old’s older brother and two older sisters live with their mum, she refuses to have much to do with the five year old – so he lives full time with Dad and rarely sees his mum. But he has just spent the last three days of half term staying at the home of his much loved and devoted maternal grandparents. Sadly, their daughter – the five year old’s mum – has fallen out with her parents (the grandparents) – so they rarely see her either. But I am very welcome into their house – as they are welcome in mine (and they have been to tea here when dropping off the five year old on a previous occasion) – because we all love the five year old (and his brother and sisters) very much and share the parenting between us. It’s a bit unusual in that it’s me who’s been the link to my ex-husband’s family for the past five years, and not my ex. My former sister in law (my ex-husband’s sister) and I make sure the four of us (me and my three children 16-21) and she, her husband and my children’s two cousins get together a couple of times a year. And each time the same question is asked of me – how is my ex – her brother - and what is he doing? To which I reply, in all honesty, I really don’t know and I’m going to be the last person to know. My eldest son lives with his father but he isn’t asked. If he was, I suspect he’d reply that he’s fine and leave it there. If pressed he’d say that he doesn’t see him much, because he spends time at his girlfriend’s, but he may acknowledge the location (Bayswater) is amazing for a student in central London. And then he’d change the subject because it’s uncomfortable. Sadly (for the children, in my view) neither my sister in law’s name or my name are allowed to be mentioned in his house. As a result, for many years I refrained from asking about the children’s visits to their father because they were painfully conscious of the unwritten ‘rule’ imposed upon them by their father not to discuss me in his presence. I suspect they also unconsciously assumed the same applied in reverse – that they couldn’t mention him to me. But as time goes by and I don’t ask after him or react if he’s mentioned they have learnt to discuss him in my presence, and I listen but don’t comment. And it’s gratifying to hear the positive things they say whilst sadly acknowledging that most things never change.